The purpose of this Standard Operating Procedure (SOP) is to describe the procedures involved in commissioning, conducting and managing a site's preventive maintenance (PM) activities. This Standard Operating Procedure (SOP) applies to work within GMP and non-GMP areas where PM is scheduled. This includes work that is related to environment health & safety regulatory requirements. 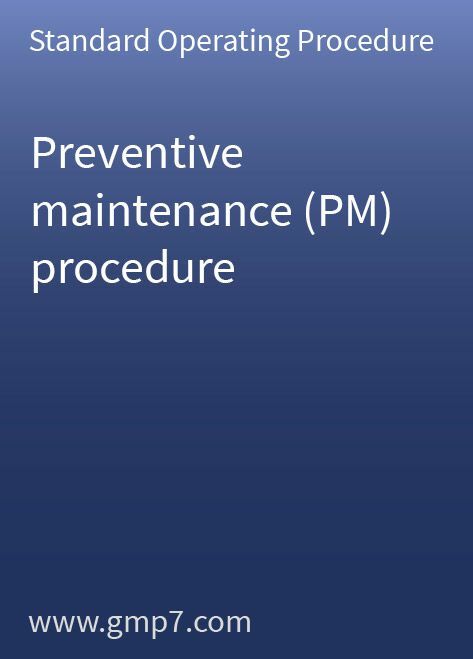 This Standard Operating Procedure (SOP) also applies to all employees responsible for any type of preventive maintenance for instrumentation, equipment and utilities. It needs only a small amount of site-specific modification before it can be adopted to ensure an effective preventive maintenance program. The SOP can be used in the area of drug, drug substance, medical device and biotech manufacturing and contains 8 pages, including 2 attachments.